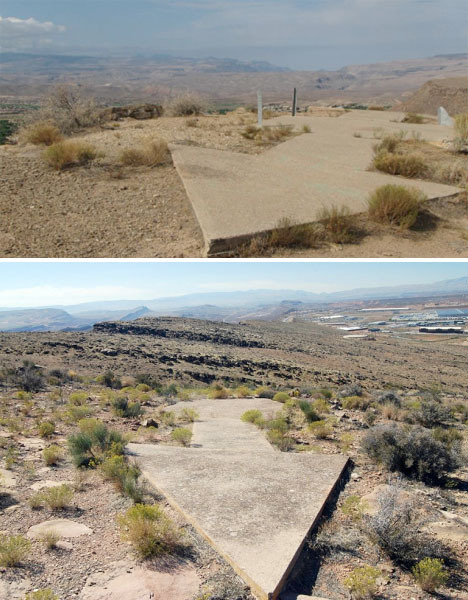 The remains of large concrete arrows can be found in patches of dirt and grass across the United States from New York to San Francisco. Many locals have wondered what they’re for, seemingly pointing nowhere at all and often located in fairly remote places. 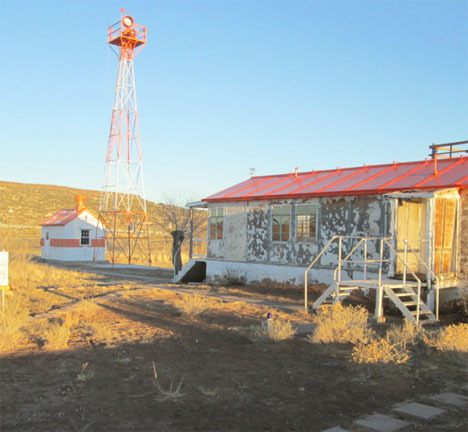 They were installed in the 1920s, each accompanied by a fifty-foot tower and a tiny hut, and became obsolete within a decade. So what were they for? Getting mail delivered in the time period just after the birth of the airplane, but before the wide use of radar and radio communications. 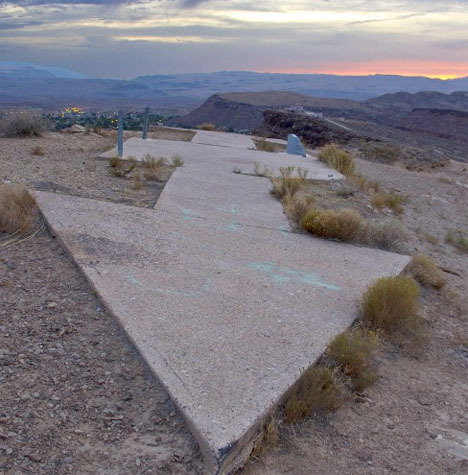 The arrows helped guide airmail pilots at night, when flights would otherwise be grounded due to inability to properly navigate. 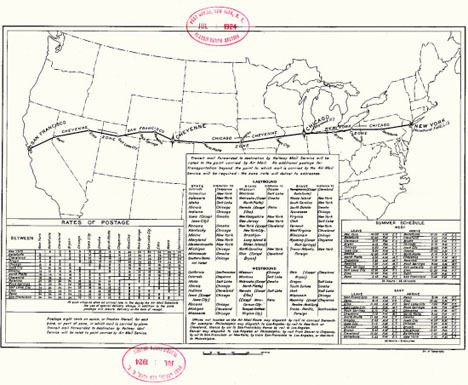 The ability to deliver mail by plane represented a huge step in the evolution of U.S. mail delivery, vastly speeding up a system that had previously relied on stagecoach lines. 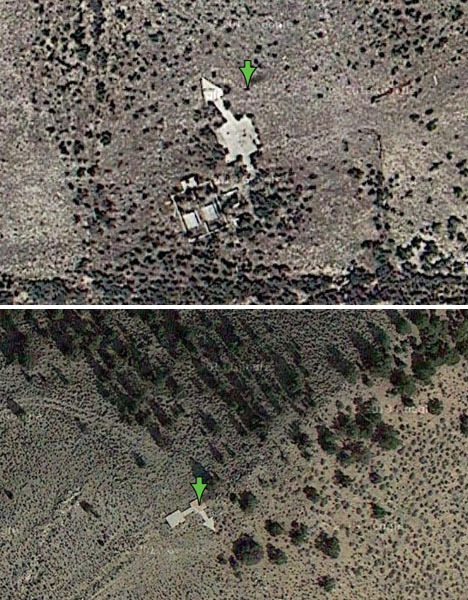 The system used fifty-foot beacon towers with rotating lights placed on top of concrete foundations shaped like arrows, usually between 50-70 feet in length. A small hut offered a place to stay for the people who maintained the generators and lights. The beacons were only visible from a distance of about 10 miles. 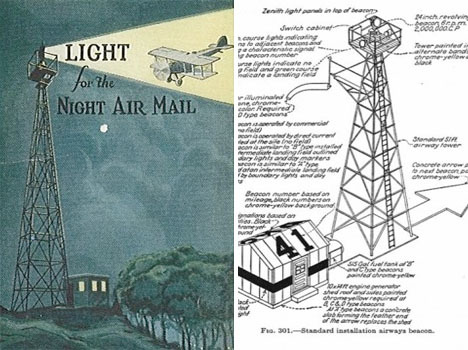 By the end of the first year of the program, the airmail service had 18 terminal airfields and more than 500 beacon lights in operation along the main mail delivery route, and continued to expand throughout the 1920s. But by 1933, new technology and the high cost of operation during the depression shut the program down. The towers were disassembled for their steel during World War II. A few have been preserved, like the one pictured above at the Western New Mexico Aviation Heritage Museum. While many of the arrows have since been lost to development, those further afield still offer a (sometimes mystifying) glimpse of the past. 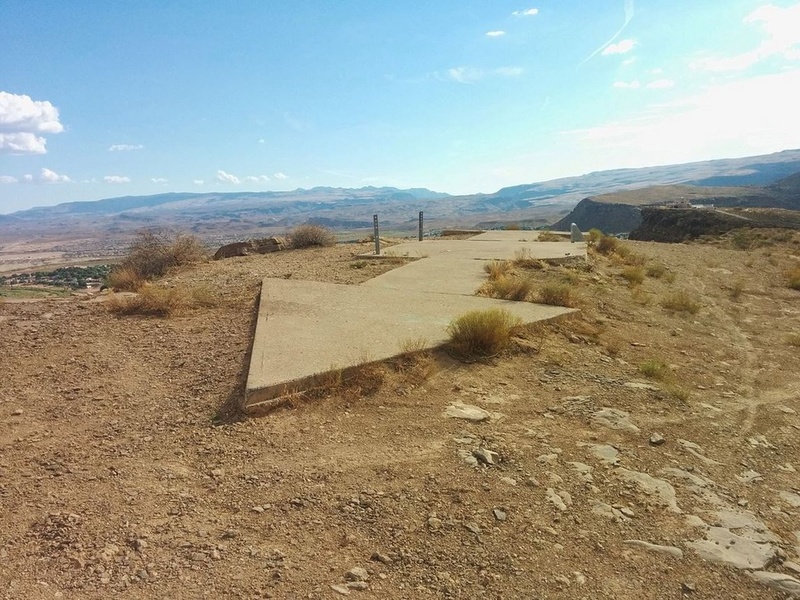 The blog Sometimes Interesting has compiled a list with map links to arrows that still remain in New Mexico, Wyoming, Idaho, Nevada and other states.